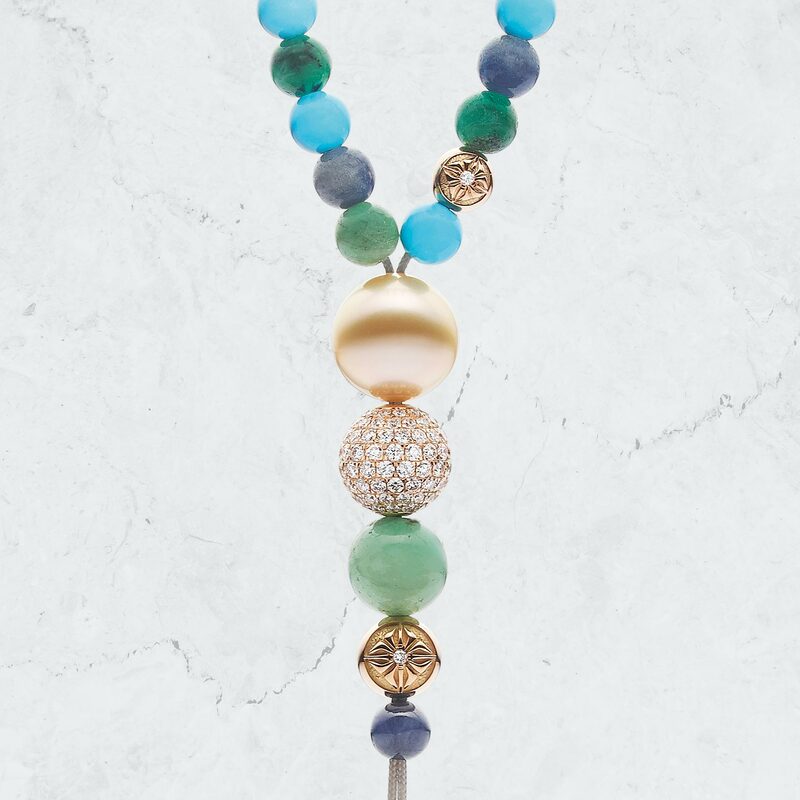 The seductive SHAMBALLA Cowboy Tie, in a playful flirtation with G/Vs Diamonds, Emeralds, Turquoises, Blue Sapphires, Akoya Pearl and 18K Yellow Gold. 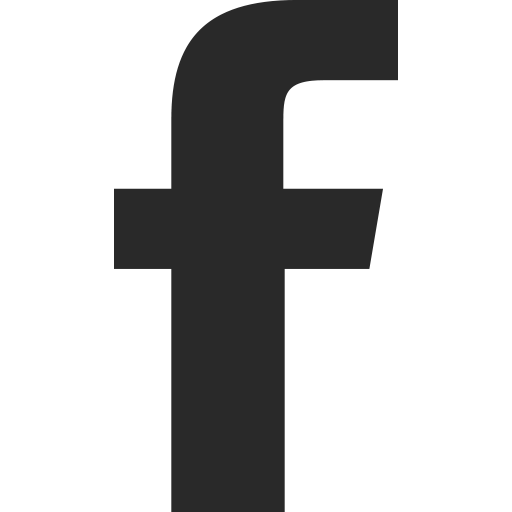 Size and design can be customized bead by bead and later recustomised into a new piece allowing the jewellery to evolve over time. 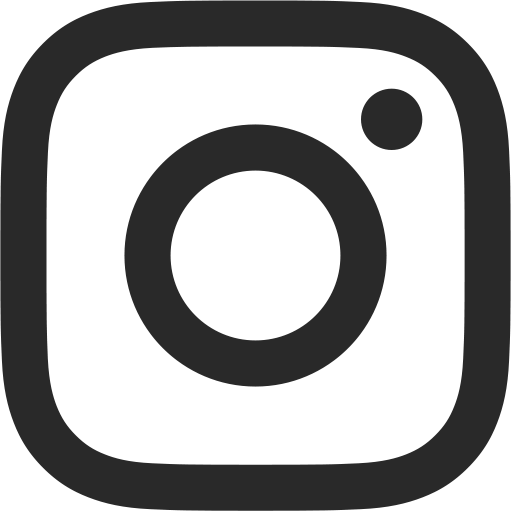 The Cowboy Tie offers refined casualness with a high level of customisation. 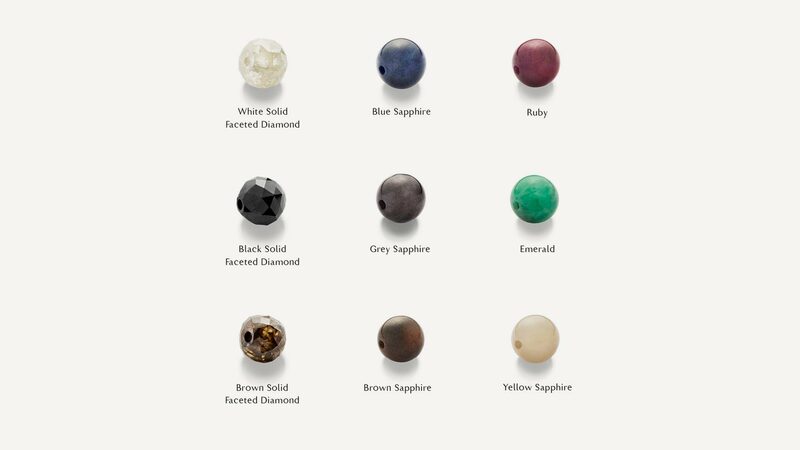 Explore our inspiring assortment of components, our beads are made by hand using the highest quality natural gems. 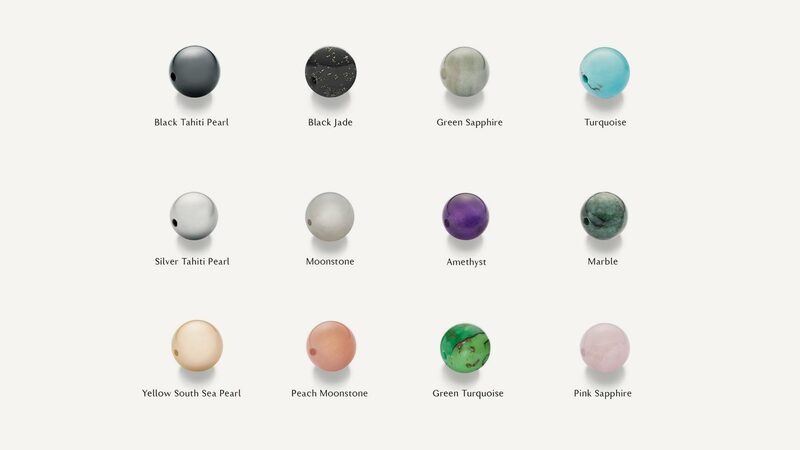 No two natural gems share the same colour, therefore, each bead is reviewed individually for quality, size and colour. 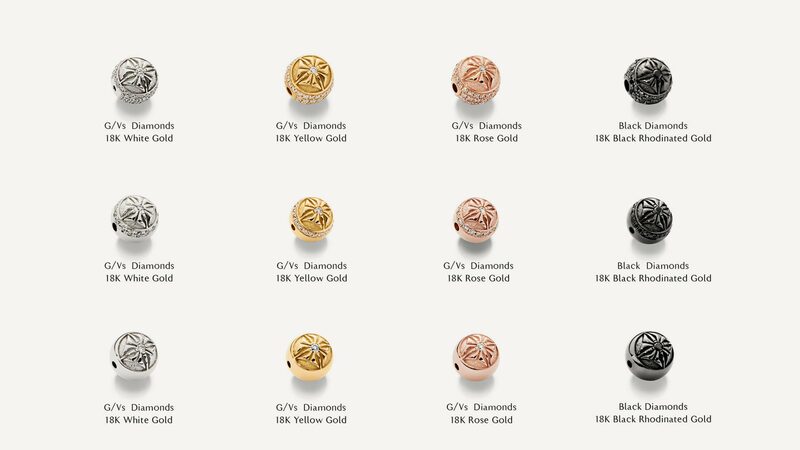 Our solid Gold Beads come in Yellow, White, Rose and Black rhodinated Gold. 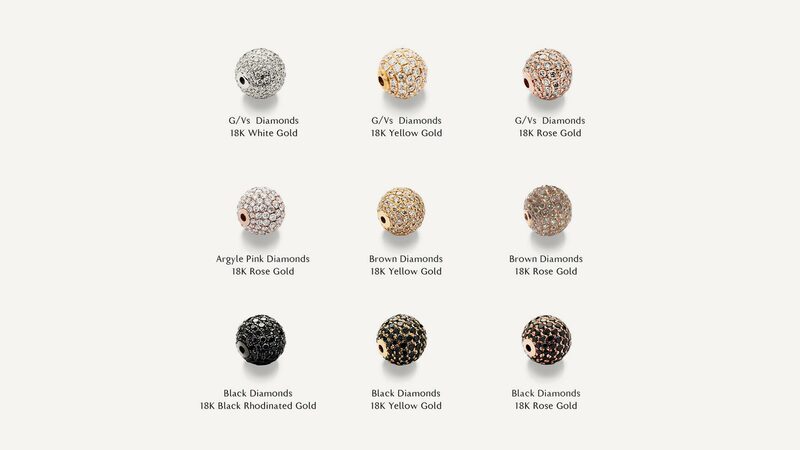 These STAR OF SHAMBALLA beads come in different pavé settings. All our Cowboy Ties are braided by hand in our Copenhagen atelier, stories threaded in each knot. 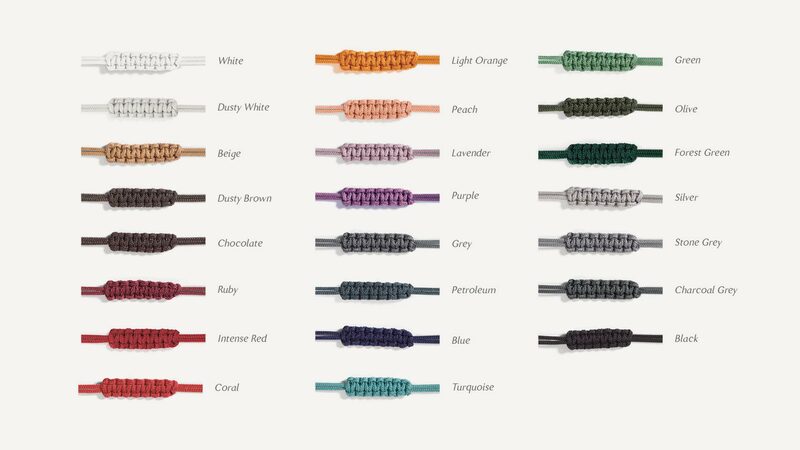 This ancient technique of macramé can be traced back to the 13th century.